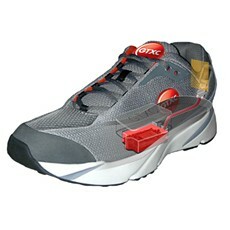 GTX Smart Shoes Leverage Aeris Technology to Enable a Greater Degree of Safety for the Customer. Aeris Communications, the Made for Machines™ technology and service provider, today announced its M2M GSM program with GTX Corp (OTCQB: GTXO), a pioneer in wearable technology and a leader in two-way GPS real-time personal location based services. GTX and Aeris are working collaboratively to provide exceptional service to the GTX end users and business customers using the Aeris network. The two companies have published a case study that outlines the details of how GTX is utilizing Aeris GSM SIM cards in its line of GPS Smart Shoes. GTX Smart Shoes are worn by adults and children with cognitive disorders such as dementia and/or autism so that family members and caregivers can easily track their whereabouts via a Smartphone and other mobile devices, and be assured of their safety. “Anyone who owns a cell phone knows about dropped signals and calls. Particularly when phones are in motion, they move in and out of strong signals from their carrier,” explains Patrick Bertagna, Chairman and CEO of GTX Corp.
Aeris provides connectivity not only via its own network, but also from many other operators. This ensures that GTX customers always have the strongest cellular signal no matter how remote the location of the device. The Aeris management portal called AerPort, gives GTX the ability to immediately identify the source of trouble – be it device or network – and remedy it fast from remote locations. Aeris is the only M2M solution provider that uses innovative “crowd-sourcing” to show the real-time performance of devices in any given geographical area. Aeris’ easy-to-integrate API’s allow GTX devices to work right out of the box. The customer can just turn on the device and it will work immediately and reliably. Aeris’ unique pricing plan gives GTX a competitive pricing option for its customers and a cost advantage over its competitors. 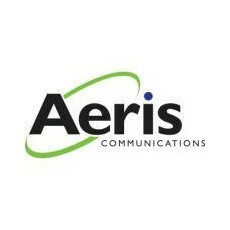 “Our purpose-built M2M infrastructure gives us a significant competitive edge,” says Aeris CEO Marc Jones.